Update: Microsoft is pushing out a new Windows 10 Insider preview build 15014 for PC and mobile build 10.0.15014.1000. The latest Windows 10 Creators Update (Redstone 2) PC build 15014 is now rolling out for fast ring insiders. Previously, Microsoft released Windows 10 PC and Mobile build 15007 for insiders. If you’re facing issues with the latest build, read here for work around. E-book in Windows 10 Creators Update (PC & Mobile): Insiders with build 15014 in the U.S. can now purchase e-books from the Windows Store and read them in Microsoft Edge. 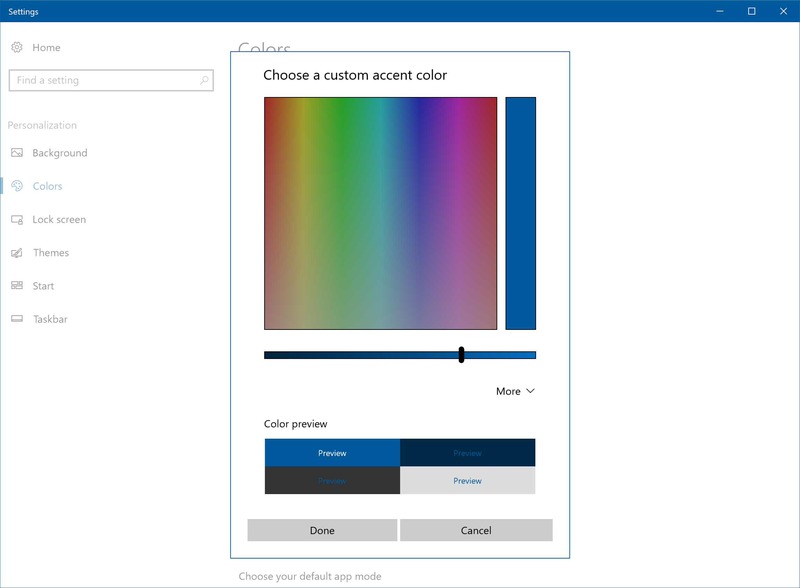 Pick new custom accent color (PC): Windows 10 Insider build 15014 comes with a new custom color option to Colors Settings. You can now select any color or use the color picker and preview your options. Members can also click “more” and enter the RGB, HSV, or HEX color code. Additionally, new custom color picker also available in Background Settings if you have “Solid Color” or “Picture” (type “Center” or “Fit”) selected. Automatically free up space (PC): Windows 10 insider build 15014 now includes a new option in Storage Settings which automatically delete old files. Currently, the feature only deletes temporary files and items that have been in your recycle bin for 30 days. However, the option is off by default, but you can turn it on under System > Storage Settings and choose what it cleans up. New Wi-Fi services section in Settings app (PC & Mobile): Windows insider team has combined few advanced Wi-Fi settings. New ‘Wi-Fi Services‘ under Settings > Network & Internet > Wi-Fi now includes both Wi-Fi Sense and Paid Wi-Fi Services. Also, “Connect to suggested open hotspots” is one of the settings under “Wi-Fi services”. Windows 10 Mobile build 10.0.15014.1000 fixed the issue causing some devices on Build 15007 to frequently reboot. Windows 10 Mobile build 10.0.15014.1000 fixed an issue resulting in the Windows Hello greeting being missing from the lock screen. Windows 10 Mobile build 10.0.15014.1000 improved speed of displaying HTTP images on live tiles. 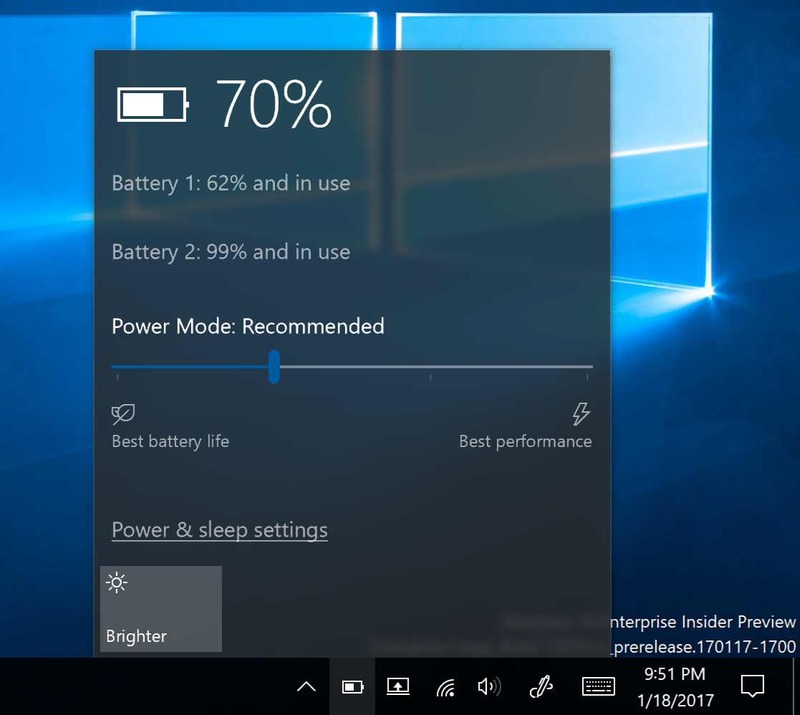 Windows 10 Mobile build 10.0.15014.1000 fixed an issue where the phone’s display wouldn’t turn off in close proximity to your face when in a call and using Continuum. Windows 10 Mobile build 10.0.15014.1000 fixed an issue that might cause an Insider’s custom typing dictionary to be unexpectedly deleted. Windows 10 Mobile build 10.0.15014.1000 fixed an issue on the new Bluetooth & other devices Settings page where Miracast devices would always show as connected, even if they had been disconnected. Original Story: A new info regarding internal build 15014 leaked online. Windows 10 insider build 15014 for PC and build 10.0.15014.1000 for mobile devices is now under testing. The new Insider build 15014.1000 is compiled on January 15. Microsoft could release build 15012 for Fast Ring this week. Previously, Windows Insider team rolled out two preview builds 15002 and build 15007 for Fast Ring members with many new features. However, few Insider members are reporting ‘download stuck at 0%’ and other issues with the build. Read here and here for fixes for build 15007.